20 years ago, this land was a truck farm, providing lettuce for the Olympia Farmer’s Market. For the past 5 years, the Wendell Berry Community Garden has renewed the soil, forged community relationships, and educated many new gardeners. 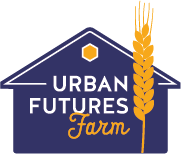 Coming full circle, Urban Futures Farm will again become a source of fresh food for the community. Watch us as we grow!